Richard settled in his seat as his commander readied the cockpit. He had been training secretly for months in Florida but none of the men on board dreamt this was their mission. Their B-25 bombers were not designed to take off of aircraft carriers, but Japan’s strike on Pearl Harbor could not go unanswered any longer. (see A Date Which Will Live In Infamy). It was now or never, and they were the leaders. Richard looked over to his commander, Lt. Col. James Doolittle, who returned a calm and collected glance. With that, the men were ready to take off. The raid was not scheduled for ten more hours so as to occur under the cover of darkness. However, after being spotted by a Japanese military picket boat, they had to act quickly to keep the element of surprise. Still, they knew their fuel would not hold out as they were 170 nautical miles farther out than projected. The mission was clear. Drop bombs on several Japanese military and industrial targets, such as factories, oil storage tanks and military bases, head south to water, and then turn towards the free area of China for a safe landing. At least, that was the plan. Everyone held their breath as Doolittle started down the USS Hornet in attempts to take off. Orders had already been given to push any aircraft overboard that had trouble so as to leave an open runway for those following. Doolittle’s plane took off with ease and set out towards its destination. Fifteen more B-25B Mitchell medium bombers followed suit on that fateful day of April 18, 1942. A total of 80 men risked their lives, not only launching bombers from an aircraft carrier for the very first time, but by the entire mission to Japan. The Doolittle, or Tokyo, Raid was a huge gamble and much was at stake. Japan believed nothing could stop them following Pearl Harbor. America was only able to attack Japan now because five carriers survived Pearl Harbor. Japan could truly cripple America as originally intended if they successfully destroyed one or more of the ships involved in this raid. In addition, with the early launch, all sixteen B-25’s could be lost due to fuel shortage. Convinced their country was safe from strikes, Japan engaged in brutal assaults all around the Pacific Theater following Pearl Harbor. They inflicted major damage in the Philippines. American morale plummeted after the U.S. surrendered the Bataan Peninsula located on Luzon, the main Philippine island, on April 9, 1942. Japanese guards forced over 75,000 Filipino and American troops to march 65 miles in unbearable heat, causing thousands to die in what became known as the Bataan Death March. Japan had to be stopped. Doolittle revealed the purpose of his raid in his autobiography. "The Japanese people had been told they were invulnerable ... An attack on the Japanese homeland would cause confusion in the minds of the Japanese people and sow doubt about the reliability of their leaders. There was a second, and equally important, psychological reason for this attack ... Americans badly needed a morale boost." The bombers dropped their loads over Tokyo, Yokohama, Yokosuka, Nagaya, Kobe and Osaka. Afterwards, fifteen aircraft headed to China. One set course to Russia, as they were extremely low on fuel, where they landed safely. Those going to China faced low fuel, nightfall and severe weather, causing all to crash land or bail from their planes either at sea or in China. As a result, Doolittle believed the mission was a failure and he would face court-martial. Japan attacked China for rescuing and helping the American airmen. Airfields were destroyed, germ warfare was used, and anyone found with American items the pilots may have given them was shot. It is estimated Japan murdered 10,000 Chinese civilians while searching for the Doolittle Raiders, with an overall massacre of 250,000 Chinese for their participation in general. This put Russia in a bit of a tight spot. Since Russia was neutral with Japan at the time, they could not easily free the crew that landed there without drawing fire from Japan. However, Russia finally found a way to secretly move the airmen into British territory unharmed after a year of detaining them. Overall, sixty-nine men evaded death or enemy capture. One Raider was killed in action escaping his aircraft during bailout. Two full crews of five men each went missing in action until their fate was discovered in 1946. Two of the crewmen had drowned when their plane crash landed in the ocean, while the remaining eight were taken captive by the Japanese. Three of those men were tried for war crimes and executed. Of the five survivors, one died of starvation in a POW camp. 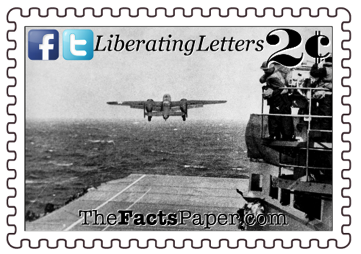 The Doolittle Raid did not inflict a lot of physical damage, but it did produce the mental impact needed. Japan now knew America was ready and able to fight, and could reach their homeland. Americans also received their crucial moral victory. It was a pivotal point in the Pacific conflict. Instead of a military trial for loosing fifteen aircraft, Doolittle received the Medal of Honor and was promoted to brigadier general, skipping the rank of colonel. All 80 Raiders received the Distinguished Flying Cross as well as decorations from the Chinese government. Those killed or wounded during the airstrike were awarded the Purple Heart. The men were considered national heroes. After the war, the Doolittle Raiders began holding annual reunions. During the events, the survivors would toast their fellow Raiders who passed within the previous year. Special silver goblets were made for the toast with each Raider’s name printed both right side up and upside down. The goblets of those that passed were turned upside down after the toast. In 2013, due to their ages, the four remaining Raiders held one final toast. Liberty, this year marks the 75th Anniversary of the Doolittle Raid. One Raider still remains, Doolittle’s co-pilot, 101-year-old Col. Richard E. Cole. When asked about being heroes, Cole replied, "We don't want to be remembered any more than the rest of the people who took part in beating the Japanese. They started it, and we finished it.” This is why the World War II generation is considered the “Greatest Generation”. They didn’t run to their safe spaces because someone said a word they didn’t like. They didn’t demand the government give them everything because it was too hard to work for it. No, the “Greatest Generation” flew bombers off of carriers, even though it had never been done before, knowing they didn’t have enough fuel to get to safety, because it needed to be done. And when it was over, they humbly contended they were nothing special. Liberty, you have several relatives who fought in both the European and Pacific conflicts of World War II as well as other wars. All gave some while some gave all. It is important that you never forget those that fought and died to give you the freedom and liberty you enjoy every day. Never take their sacrifices for granted. God Bless the Doolittle Raiders and God Bless America.